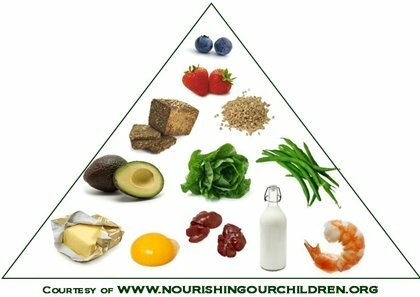 What is a Healthy Food Pyramid? Parents all over the United States are confused about what they should be feeding their children to ensure they have optimum health and brain development. Let's talk about what you should be eating and why you are confused. Click here to jump straight to our recommendations about What To Eat as part of our healthy Food Pyramid. Unlike our healthy food pyriamc, the original USDA Dietary guidelines were based on the as-yet-unproven theory that reducing dietary fat would reduce heart disease, diabetes and obesity. Since there were developed science has proven time and time again that this premise is false, but when scientific evidence contradicts the USDA’s definition of healthy, the USDA ignores the science. Why shouldn’t they? Are you feeling as frustrated and mislead as we were before we started doing some research? Good. Now let's talk about what you SHOULD be eating, i.e. our healthy food pyramid . Using common sense you may expect that eating the real, whole, nutrient dense, nourishing foods that the human race has enjoyed for thousands of years is likely to be the healthiest for us because genetically, we are adapted to eat them. For more information about the benefits of traditional and nutrient dense diets read Healthy Diets for Kids . 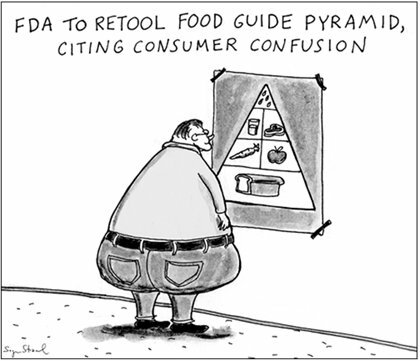 For a great article that explains why we recommend some of the above read Our Food Pyramid by NourishingOurChildren.org.